and while catskill dries have long been my favorites to tie, I've gravitated more toward harrop's flies. and for fishing my own variants of whatever. from left to right 1-5wts - including my first ever build on the right. middle rod is first string starter wherever I go nearly. since I've checked in here. anyways, a recent effort I call the twoshoes twang, based on something I'm sure. I really don't tie much anymore. 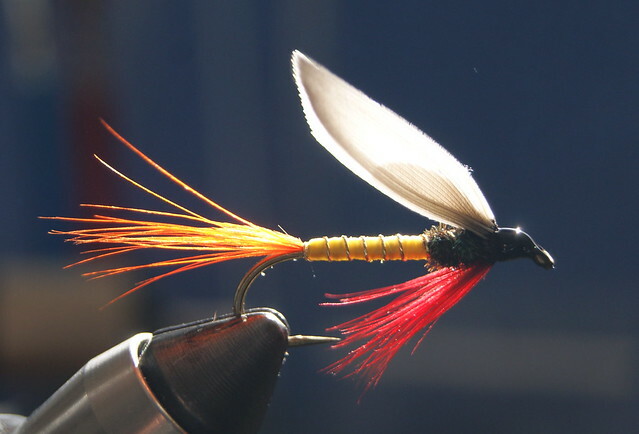 interesting that substitutions aren't permitted, but the recipe call for pheasant tail tail and the fly as pictured has what looks like is a deer hair tail. I'll try to get some. as you may well know it is tough to get a nice shot of a rod. much easier to get shots of flies. 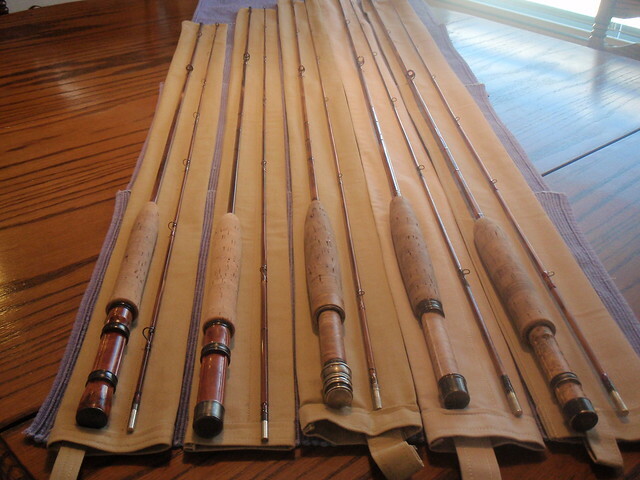 I recently finished a degere 1wt a sweet little small stream 6ft rod, that performed admirably. I'm' currently varnishing the wraps on a degere ice cream parlor hole special (6'8" 2wt). I'm excited to see how this one casts. already here. lit 'em up sat morning. countless browns and brookies on hoppers. all day music it was. I'm also a fan of cdl tails and I like them a little long (like you tied it ).